Click and hold to charge shot. 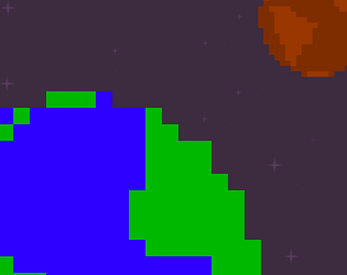 Shoot planets with trees to save them, then go to that planet and save more planets! All of the planets have dried up and the is no life left on any of them! Only you and your amazing tree cannon can leave a mark on the universe by breathing life back into these forgotten planets! Go from your home planet, and save as many planets as you can before running out of resources!